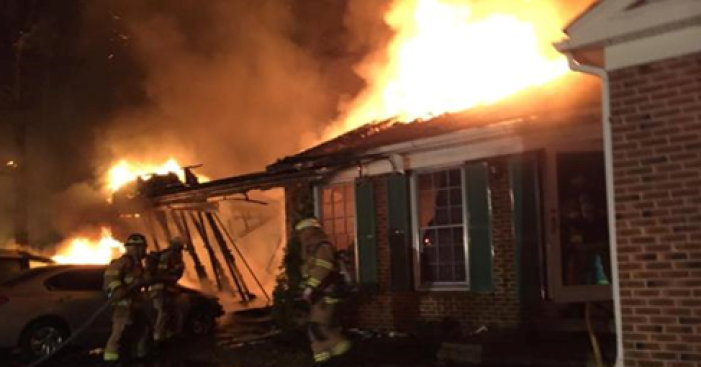 An early morning fire destroyed a home in the Fairfax Station area of Fairfax County. Firefighters were called to Paynes Church Druve at 12:15 a.m. Wednesday. When they arrived, they found heavy fire coming from the roof of the home. Four people were inside the home at the time of the fire, but they were able to escape. The Red Cross offered to assist the family, but the offer was declined.